On October 9, 2011, I celebrated my one year marriage anniversary to my beloved husband. In celebration, we took on a physically challenging task. We climbed 4,501 feet to the top of a mountain. The entire trip took us four hours. The end result was rewarding in it's beauty. To stand on the top of a mountain and take in the breath taking view was indescribable. Pictures and words can not begin to explain the magnitude of our victory. 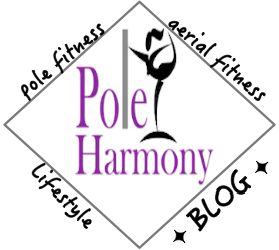 This utterly challenging task brought on multiple feelings that I have come to experience through my journey within pole dancing. I found my hike up the mountain was quite the meditative journey. A sense of enlightenment filled me as I patiently persisted to my destination. Many hikers rushed up the mountain and passed us, but I was firm in my patience knowing that I too would reach the top in hopes of feeling refreshed rather than fatigued. During my hike, I was reminded of the expression, slow and steady wins the race. It's important that during a dangerous hike up a steep mountain we are slow and steady as to avoid rushing to the end of the trail and becoming careless which could lead to injury. This saying is also true in pole dancing. It's just as important to exercise with caution by exhibiting patience with new moves in order to avoid injury. Everyone progresses at a different pace, so find your pace and be patient with it. You will benefit in the end result. Patience is such an important factor when hiking up a mountain or while developing skills as a pole dancer. With patience, I found that I remained persistent in my hike. I've remained persistent in my pole dancing. There have been many times I've wanted to give up because I didn't feel as though I could accomplish my goal. I didn't want to withstand the pain. While hiking up the mountain my muscles and feet began to ache. I took many breaks during my journey and allowed myself to listen to what my body was telling me. I can tell you my body was screaming at me that future hikes better have proper hiking attire- if not gear, at least comfortable shoes! I've come to situations in the past while pole dancing where it was necessary to take breaks and listen to what my body was telling me. Often it was the pain of a certain move or just simply over exertion and time to rest. Pain is a key element that can not go ignored. There are moments where pain is a necessary process and there are moments where pain is indicative of something more- a warning that must be given attention to avoid serious consequences. When pain arises, it's crucial we stop and take a moment to assess the pain before advancing on our journey. I've often preached to my students what I refer to as the three “P's” of pole dancing; patience, persistence, and pain. All three are essential to the journey an exploration of the dance as an athletic form of exercise. It is important to remember them as a developing dancer. Be wary of them in your practise and you will benefit in your reward whether it is a breath taking victorious view or the beautiful and graceful dancer of your dreams.